One more gear, powered by hydraulic fluid. Rotor pushing boundaries in the MTB drivetrain arena. Rotor is introducing a new 1x13 drivetrain which is interesting for a number of reasons beyond just having an additional gear. First and foremost, it is hydraulically actuated. 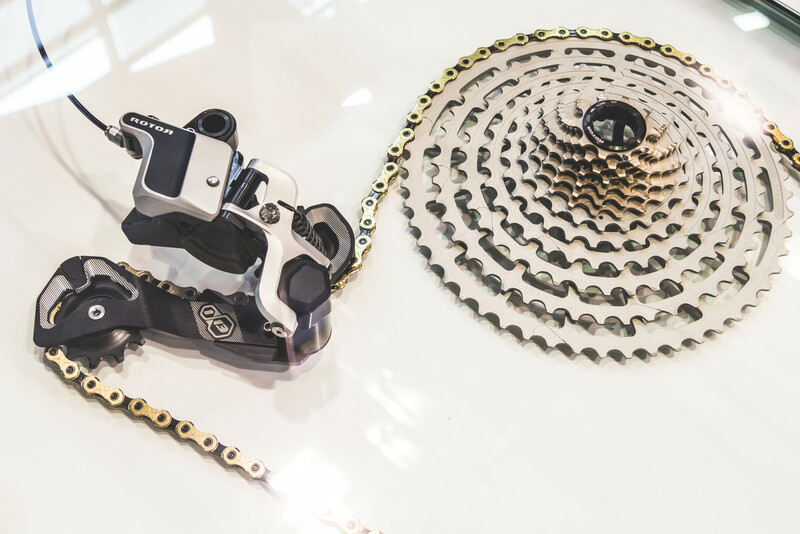 Rotor has used hydraulic actuation on their Uno road system for the past six years with good success and is bringing it to the mountain bike world. The derailleur also features a clutch mechanism which can be unlocked for easy wheel removal as well as the ability to convert it to 12-speed via a regulation bolt. 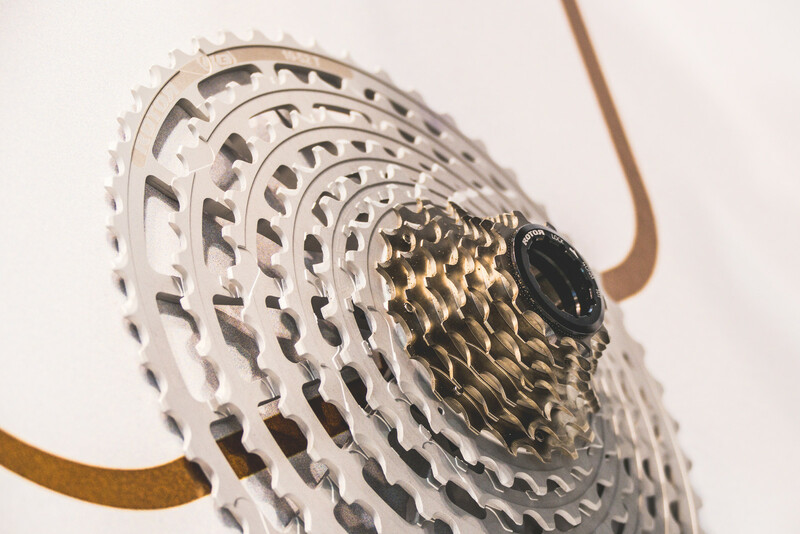 Rotor makes room for the 13-speed cassette, while using the Shimano freehub standard, by moving both the freehub and drive-side flange inward creating room for the two small outer cogs. 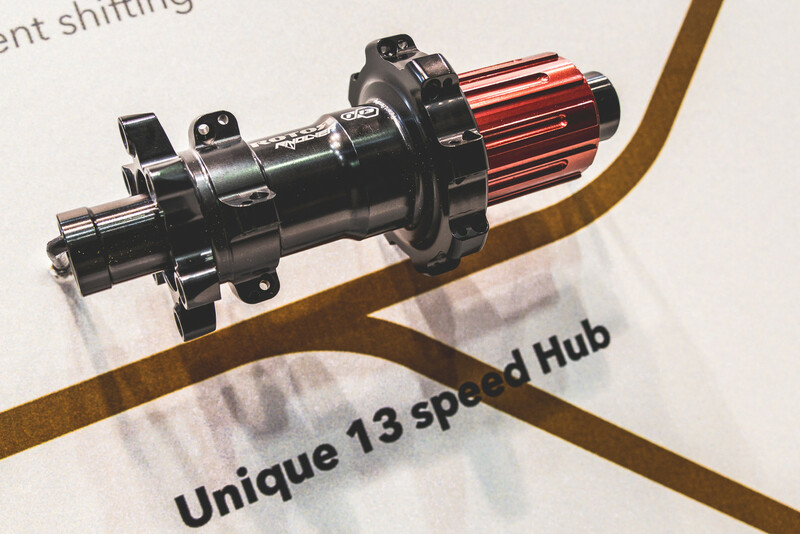 The hub itself uses Rotor's Revolver system which disengages while coasting to provide less friction. 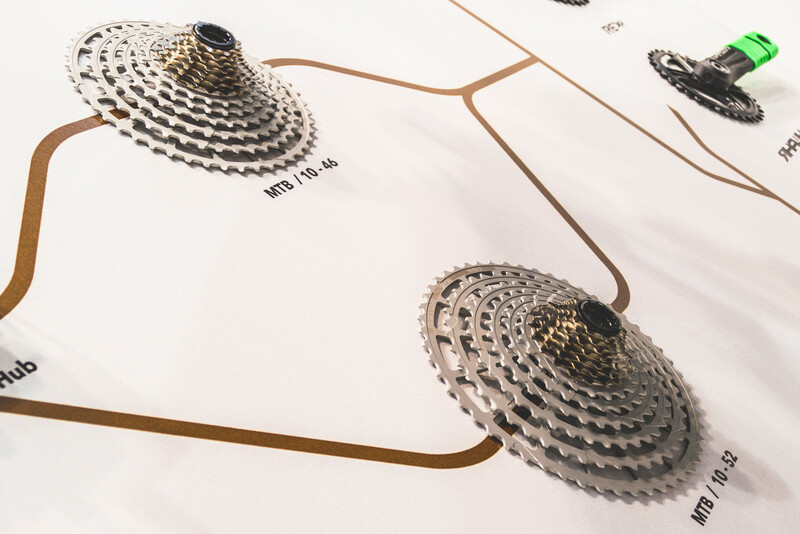 13-speed cassette options include a 10-46 and a 10-52 tooth cassette. Rotor’s particularly proud of the 10-52 due to the range it offers as well as coming in at just slightly lighter than both Shimano XTR and SRAM Eagle. The shifter is direct-mount compatible and does not have an index mechanism which simplifies the shifting process. It’s possible to shift both up and down with only one trigger. You can even remove the down trigger if you’d like. Components are currently in the prototype phase. Rotor is moving forward with production soon with all components made in Madrid. Pretty snazzy! Will any other hub manufacturers be adopting the cassette body/flange positioning?